Congratulations to IntoWork Australia’s chairman, the Hon. 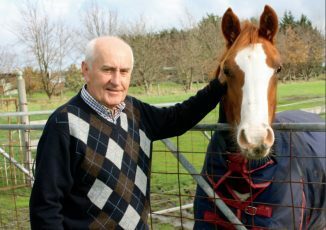 Alan Brown, who was awarded a Member of the Order of Australia (AM) in the Queen’s Birthday Honours. Alan has served the community for more than 50 years, helping to establish and support a number of local community foundations and small businesses, in addition to his roles in various levels of government. Alan has a particular passion for creating lifelong pathways for young people through apprenticeships and traineeships. It is an honour to have had Alan Chair the IntoWork board since 2001, overseeing the group’s expansion to become Australia’s largest employer of apprentices and trainees. Alan was also central in establishing the Inner North Community Foundation which has distributed $2.6 million in grants to community organisations within the municipalities of Darebin, Moreland, and Yarra. In addition to his community work, Alan served as Member of the Victorian Parliament, Parliamentary Leader of the Victorian Liberal Party, Leader of the Opposition and Minister for Transport in the Victorian Government. Congratulations Alan on receiving this well-deserved honour.